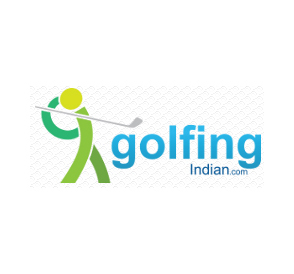 GolfingIndian.com today announced the first-of-its-kind interactive Golf App — ‘Golfing Indian’ — in the country to promote the game and bring golf enthusiasts, players, and golf lovers on a common platform where they can stay updated on all the latest from the sport. The app, which is rich on interactive content and features, include a detailed news section, a picture gallery with the best from the Golfing world, Live PGTI (Professional Golf Tour of India) Scoreboard and a Golf TV carrying players’ interviews and sneak peek into upcoming events from around the globe. “We are happy that PGTI live scores will now be available on our digital partner golfingindian.com’s app. This will further help the rapidly growing golfer base in the country to stay updated about all the tournaments, and we look forward to working with golfingindian.com to take professional golf to all parts of the country through live scores,” says Padamjit Sandhu, Director, PGTI, which organizes the professional golf tour in India and remains a foremost body for all pro-golfers in the country. An exciting feature of the app is the Equipment Insider which guides new golfers to understand the game and learn from experts on which equipment to use at the practice stage and when one hits the greens. Other features of the Golfing Indian app are Golfer of the month, polls and columns from the experts. The launch of the app comes just ahead of the second edition of the Take Solutions India Golf Awards, scheduled for February 16. The awards recognizes not just the professional talent but also the golfing business community, celebrities and bureaucrats who play the game. GolfingIndian.com, which has been at the forefront of providing quality content on the game over the web, plans to replicate its success now on the app.